Hi All! I have been so lazy about posting lately! I have been spending time in my craft room but I have mostly been working on developing some classes for The Cutting Garden. I haven’t really spent a lot of time randomly creating anything new. I did manage to make a few cute little note cards over the past week…. 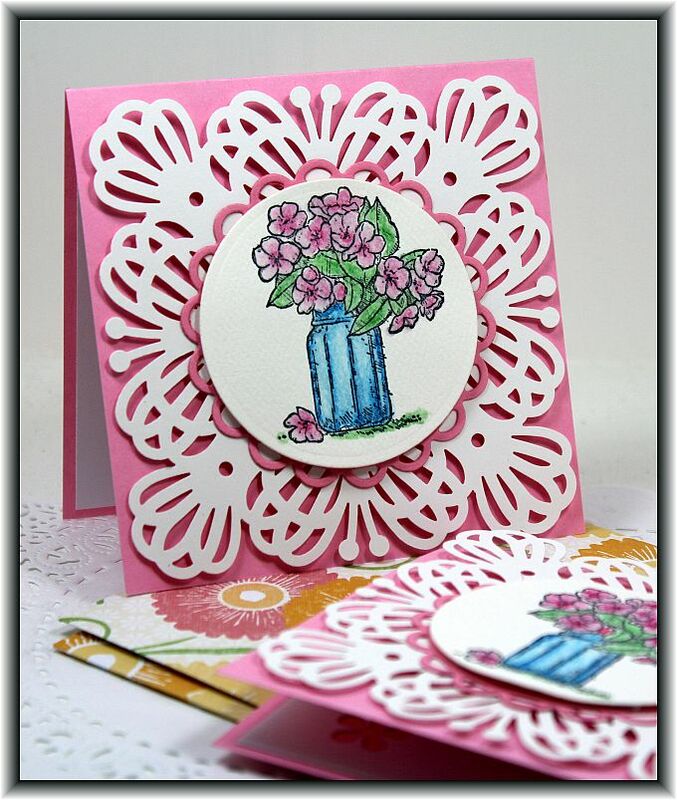 The stamp I used is by Stampin’ Up! called On The Grow. 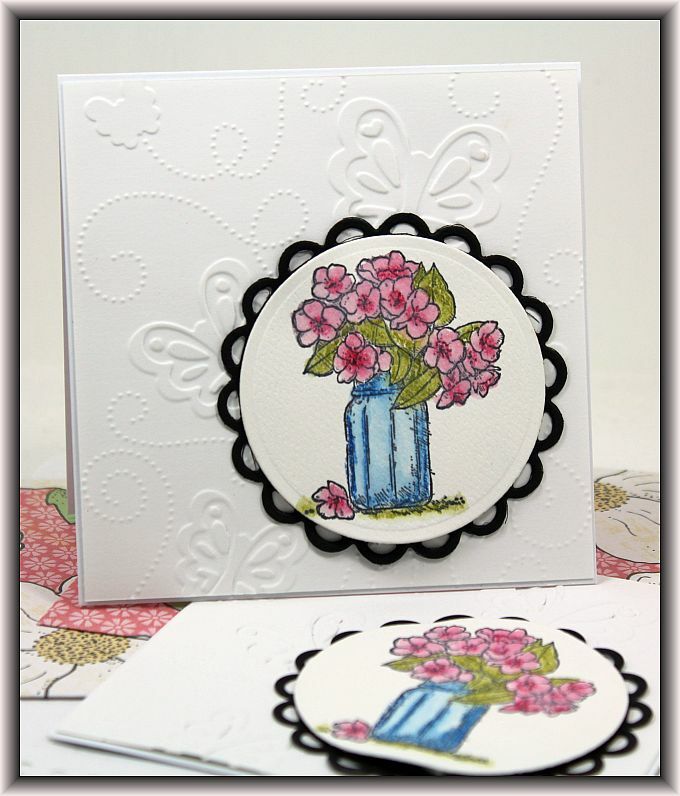 It is one of my go to stamps especially when I am making simple little note cards. They come in handy when you just want to send someone a little card to make them smile. Well I am up for work again tomorrow at 5:00 am! Yuck! I am still struggling with this new morning routine for my new job, but I will eventually get used to it! Hope you all are having a good week! We are in for some more snow this week, I can’t even tell you how tired of winter I am! Good Morning! I have another quick little Valentine card to share with you this morning. 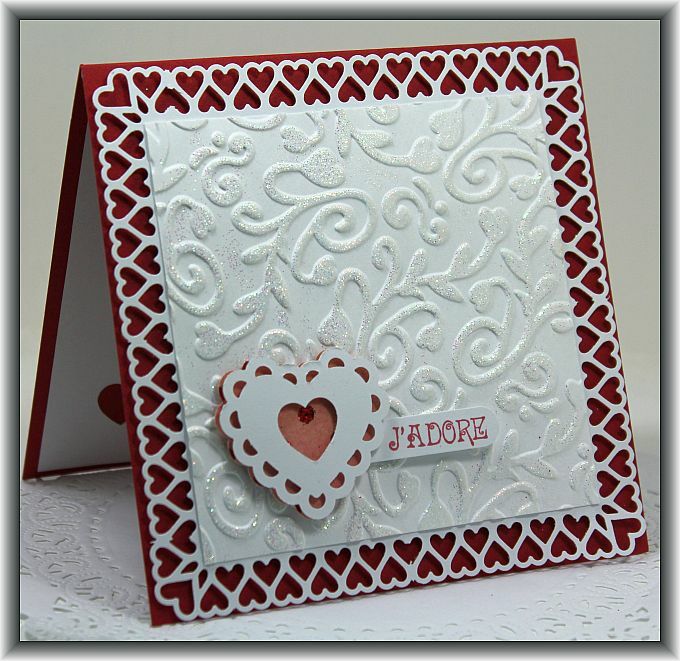 For this one I used the Martha Stewart Loops Heart Punch Around the Page set of punches as well as her heart double punch. I added some glitter to the raised embossed part of the front to make it shine. I am off to work again today, it is very cold here again today, -20 but it is supposed to warm up later this week. Good Morning! I’d like to be sailing away today! LOL! We are bracing ourselves for yet another Wednesday storm here in Nova Scotia. I am totally getting sick of all the snow and storms and I totally hate having to drive to work in them! Anyway, you didn’t come here to listen to me complain. LOL! I have made this card in the past and I always like to have several of them in my stash for our guy friends birthdays and I have completely run out so I made a few more to have on hand. 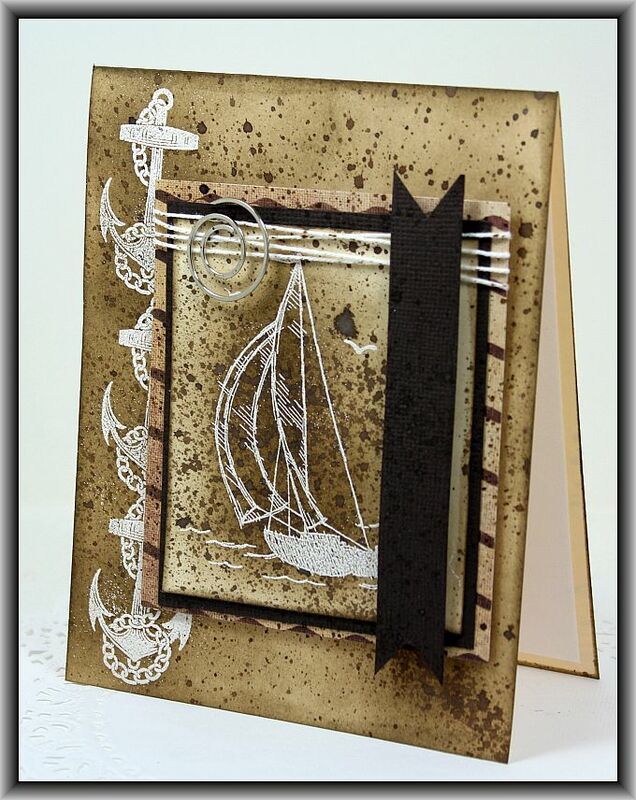 The boat stamp is by Stampin’ Up and the anchor’s are by JustRite. 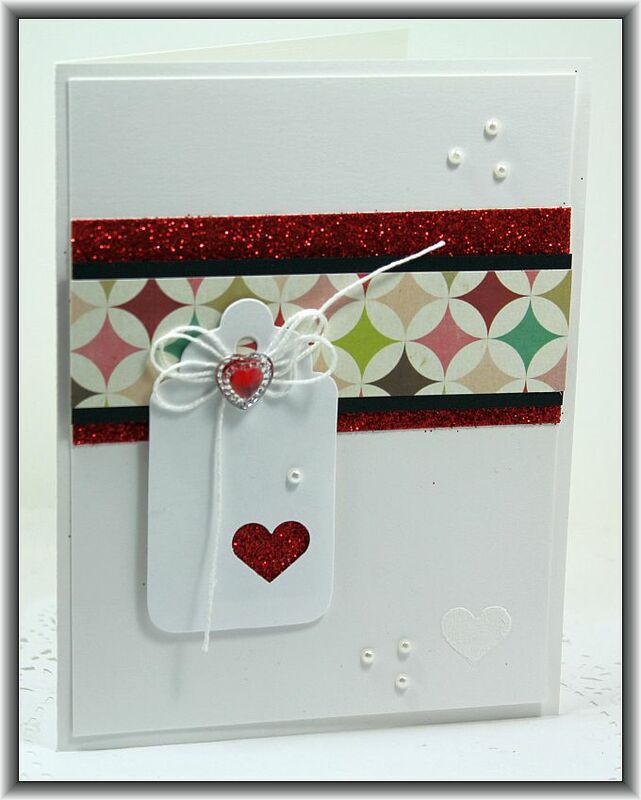 This is a fun card to put together, fun and a bit messy with all the splattered ink. I hope you all are having a good week and thanks for stopping by! I’m off to work!